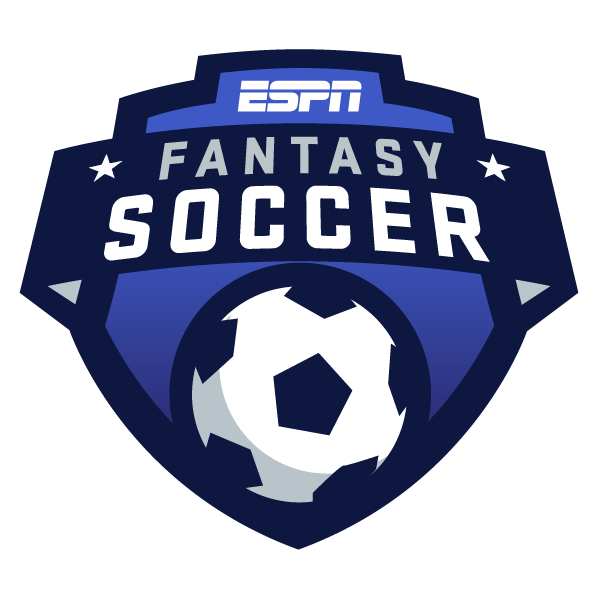 The first weekend of fixtures since ESPN Fantasy Soccer launched is quickly approaching! Since our game allows you to pick new players each week, strategy is going to be very important. You can't just study up for a draft at the start of the season, like with fantasy NFL, and ride that team all year long. You'll probably get left in the dust. We'll all be learning about this game together, as the season unfolds. But certain lessons can be learned from studying the numbers from last season, as if ESPN Fantasy Soccer had launched one year ago. And one of those lessons is, don't just focus on goals and assists! It sounds simple, I know. But there will be a temptation to concentrate on those two categories when making your selections each week. And that's natural. They offer the biggest rewards -- 10 and 5 points, respectively -- and they're the easiest to spot, too. But they're also pretty hard to come by. Only nine Premier League players scored more than 12 goals last year, in a 38-game season. Think about that. Every other player in the league, at best, averaged less than a goal every three games. And that number was only slightly higher in Spain. Thirteen La Liga players scored more than 12 goals last year, also in a 38-game season. And two of those players finished with exactly 13. Assists are even less common than goals. Only nine Premier League players finished in double-digits in assists last season, and seven of those nine finished with 10 or 11. Kevin De Bruyne was the league leader with 16, and that's just half the number of goals scored by Mohamed Salah. Only four La Liga players finished in double-digits in assists. Lionel Messi was tied for the league lead with 12, which is nearly a third of the number of goals he scored, 34. Goals and assists will certainly be important, particularly when you're picking your Tier 1 forward and midfielder, since those are the kind of players who can put up double-digit goals and assists in a season. But, especially when you're picking your Tier 2 and Tier 3 players, you'll want to keep an eye on the other categories, too. The next most important categories, points-wise, are shots on target (2 points), chances created (1 point) and appearances (1 point). Appearances is pretty self-explanatory -- make sure you pick players who are actually in the starting lineup! Shots on target will generally correlate with the top goal-scorers. For instance, Salah and Harry Kane were the top two goal-scorers in the Premier League last season, and they also were the league leaders in shots on target, by a considerable margin. The same goes for Messi and Cristiano Ronaldo in La Liga last year. It's also worth noting that shots on target aren't as frequent as you might think. Only seven Premier League players had 38 or more shots on target in a 38-game season last year -- one or more shots on target per game. Only eight players had 38 or more shots on target in La Liga. Chances created -- passes which lead to a shot, whether a goal is scored or not -- are much more frequent. De Bruyne led the Premier League in this category as well last season, with 106. And Messi led La Liga with 87. What's more, you'll see some different names high up the chances created leaderboard, as opposed to the assists leaderboard. For instance, Cesc Fabregas was third in the Premier League in chances created last season with 90, even though he finished with only four assists. Chelsea teammate Eden Hazard was fourth with 84 chances created, and he also finished with only four assists. Lucas Perez of Deportivo La Coruna and Alex Granell of Girona finished second and third in La Liga with 79 and 75 chances created, yet they had only six and seven assists respectively. Paying attention to chances created could make a big difference when selecting your fantasy squad. You might be better off picking a less-heralded player like Granell, who's consistently putting up decent scores via categories like chances created, rather than picking up a higher-profile player and banking on him scoring a goal. The same goes for the other fantasy categories ... there's plenty of value in shots off target, tackles, interceptions, blocks and clearances, even though they're only worth half a point. And the least lucrative category, passes completed (0.1 points), is actually much more important than you might think. Manchester City defender Nicolas Otamendi and Man City midfielder Fernandinho would have finished eighth and ninth among outfield players in Premier League fantasy points last season. Otamendi is a center back, and Fernandinho is a defensive midfielder who only had five goals and three assists. The primary reason they performed so well fantasy-wise is that they finished first and third in passes completed. Real Sociedad midfielder Illarramendi and Valencia midfielder Dani Parejo each scored only seven goals last season, but they would have finished sixth and seventh among outfield players in La Liga fantasy points, largely because they finished third and fifth in passes completed. Keep all this in mind as you're picking your first Premier League and La Liga fantasy teams this week. Our goal was to make ESPN Fantasy Soccer a fun but challenging game where you'll see a mix of different types of players on the leaderboard. Try to avoid players who don't offer much value unless they happen to pick up a goal or an assist. The lesser known players who consistently produce via some of the other categories are going to be a key to winning your league.